Now it’s apparently also a way to deploy a quick presence at a trade show. 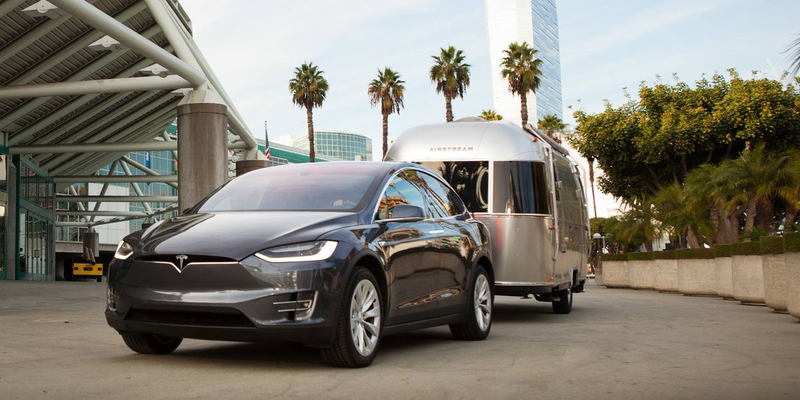 The LA Auto Show announced that Tesla will be stopping by this week. Tesla doesn’t have an extensive presence at auto shows, but the electric automaker is becoming a regular at a few shows, like the Geneva Motor Show and the Paris Motor Show. The LA Auto Show, which takes place all week but the public can have access starting on November 18, is generally considered a smaller trade show, but with the growing presence of automakers in California and especially of design studios in LA, it has become quite a significant event in the industry. Though Tesla’s mobile design studio shouldn’t the biggest electric vehicle event of the show since ti doesn’t use auto shows to make announcements or debut new models. A few automakers are expected to debut new EVs or to make announcements about the electrification of their lineups. Jaguar is holding an event during which it is expected to unveil its first electric vehicle. It could very be the all-electric SUV that has been spotted testing in the past few months. Additionally, Volkswagen is expected to debut its refresh e-Golf with a longer range. The company has been promising to make it available by the end of the year. An electric MINI could also be in the cards for the show. 17 new vehicles are set to make their debut at the LA Auto Show this week and there are still a few unannounced. It’s not out of the question that we could get a few EV surprises.